The newly launched program for the 12th International Naval Engineering Conference and Exhibition – INEC 2014, being held at the Marine Establishment Amsterdam in the Netherlands (May 20-22, 2014) features an incomparable line-up drawn from over a dozen countries speaking to the theme ‘Innovative solutions to global trends’. The program includes keynote addresses by Vice Admirals of both the Royal Netherlands Navy and the Royal Navy, and, thanks to the support of the Royal Netherlands Navy, a networking and industrial visit program with the innovative HNLMS Tromp at its heart. “It is perhaps feasible to predict some trends in seagoing operations, even if there are a number of potential scenarios but in other areas such as politics, the trends are very difficult to predict,” said Commodore John Newell MBE RN, Ministry of Defense, the INEC 2014 Conference Chairman. “So, the challenge before us is to design innovative engineering solutions to requirements that give us sufficient flexibility to respond to the most likely plausible scenarios. INEC 2014 is organized by the Institute of Marine Engineering, Science and Technology (IMarEST) and held in association with the Royal Netherlands Navy with BMT Defense Services as its major sponsor. “In addition to thanking the Technical Advisory Committee, chaired by Cdre Newell for the creation of a superb program, I would like particularly to thank the Royal Netherlands Navy who, as ever, have played a significant role in INEC 2014 not only by hosting it at the Marine Establishment Amsterdam but by arranging for HNLMS Tromp, an Air-defense and Command Frigate (LCF) to be at the heart of our networking and industrial visit program,” said David Loosley, Chief Executive of IMarEST. 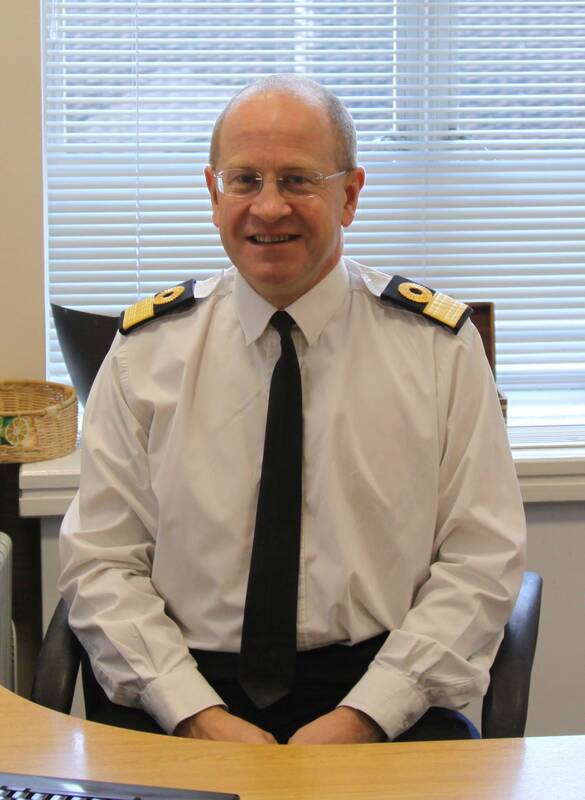 The first of those themes of which Cdre Newell speaks is ‘Effects of Trends on Defence’ and will be addressed by keynotes on the opening morning by both Vice Admiral Matthieu J M Borsboom, Commander of the Royal Netherlands Navy and Vice Admiral Simon Lister CB OBE, Chief of Materiel (Fleet), Ministry of Defense. A series of plenary presentations follow – ‘Change in RNLN technical domain’; ‘Technology transfer and industrial participation in the context of cross-border naval platform trade’; ‘Unmanned naval aviation and its impact on future carrier design’; and ‘Supporting the Royal Navy – The Surface Ship Support Alliance’. Thereafter by means of parallel sessions featuring over 75 peer-reviewed technical papers by speakers from INEC 2014 will focus on Green Ship; IPMS; Ship Design; Ship Systems; Submarines; Waste Heat Recovery; Materials; Human Factors; UXV; Simulation; Signatures; Gas Turbines; Electrical Systems; and Maintenance before all delegates are brought together on the Thursday afternoon for the closing plenary session. This will address ‘Shipboard electric plant architecture design: A historical perspective with vision toward the future’; ‘Type 45 Destroyer full electric propulsion – Lead act or a step too far?’; Analyzing potential military utility of landing craft by ship-to-shore maneuver modeling’ and feature the presentation of the Sir Donald Gosling Award. The award consists of three prizes (first prize £5,000; second prize £2,500; third prize £1,500). The IMarEST is delighted to announce that Sir Donald Gosling has, once again, given his patronage of the Sir Donald Gosling Award to be presented at INEC 2014. Sir Donald has long been a strong supporter of the Royal Navy and his award, for authors aged 35 or under, aims to encourage involvement and attendance from younger participants from the military, industry and academia, allowing them to demonstrate a fresh and imaginative approach, together with ingenuity, in delivering a practical proposal which contributes to improved future naval operations and support. “This year the Sir Donald Gosling Award has attracted a record number of outstanding candidates and will be presented by our Patron, Vice Admiral Sir Robert Hill KBE FREng HonFIMarEST. All are highlighted in the program,” explained Cdre Newell. Networking plays a key role at IMarEST Events, and INEC features a Welcome Reception, held in the exhibition, and Dinner at the end of the first day at the Marine Establishment Amsterdam. The Conference Reception for INEC 2014 will be hosted by the Royal Netherlands Navy aboard HNLMS Tromp at the end of the second day of the conference, providing all participants with a unique opportunity to visit this innovative class of ship and to learn more about the role of the Royal Netherlands Navy worldwide. HNLMS Tromp is one of four De Zeven Provinciën-class Air-defense and Command Frigates (LCF) built by Damen Schelde Naval Shipbuilding. The Frigates perform two important roles: A command role in facilitating the operations of the deployable and operational staff, and providing anti air warfare (AAW) protection for an entire fleet. The most striking characteristics are the ships’ stealth technology and high degree of automation of the ships’ systems which means that they can be operated by a ship’s company of just over 200. An unprecedented opportunity is offered on Friday, May 23 by the Royal Netherlands Navy for INEC delegates to join the crew of HNLMS Tromp to make a short journey from Amsterdam (subject to operational demands of the ship). A supporting exhibition is held alongside INEC. Confirmed exhibitors include: Babcock International Group; BMT Defense Services; Imtech Marine; L-3 Marine Systems UK Ltd; MARIN (Maritime Research Institute Netherlands); Metalock Engineering UK Ltd; QinetiQ; Rolls-Royce; Thales Nederland B.V.; and Wärtsilä Corporation. Details on exhibition and sponsorship opportunities are available from cheryl.fraser@imarest.org and +44 (0)20 7382 2627. Further information on all aspects of INEC 2014 is at www.imarest.org/inec and from conferences@imarest.org; and +44 (0)20 7382 2702. Registration is now open, and an early bird discount is available until 8 April 2014.